Preston Pugh represents large companies, government contractors, and participants in federal programs in investigations and litigation. His experience includes defending against a wide variety of claims in both the acquisition and execution phases of government contracting, including the False Claims Act (FCA), the Foreign Corrupt Practices Act (FCPA), and other government contract compliance claims. As a former senior in-house compliance investigations counsel at two Fortune 50 companies, twice-appointed compliance monitor, and Assistant U.S. Attorney, he also assists clients with whistleblower investigations, crisis management, and regulatory disputes. During Mr. Pugh's service as an Assistant United States Attorney in Chicago, he was responsible for, among other things, qui tam litigation and the prosecution of FCA cases. As a compliance monitor, he was appointed by a federal court in Chicago to oversee the five-year implementation of a consent decree by one of the largest freight transportation service providers in the world, and later was appointed as the first-ever monitor (IPSIG) for the Waterfront Commission of New York Harbor to oversee a stevedore's compliance with the agency's regulations. 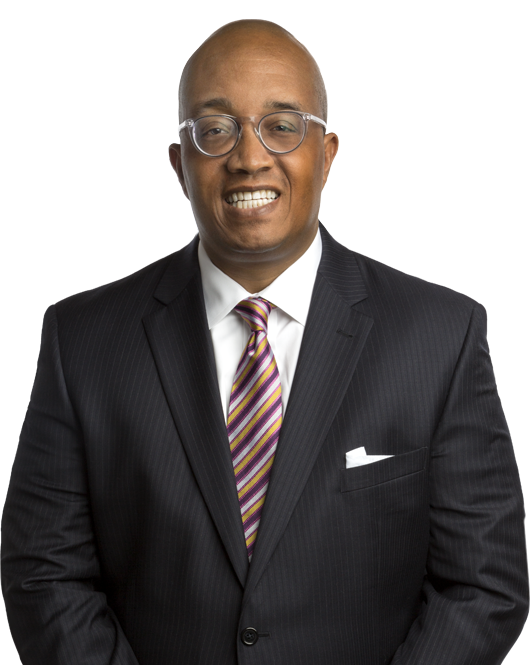 An experienced first chair trial lawyer, Mr. Pugh has successfully tried numerous cases to verdict and is licensed in Washington, DC, New York, and Illinois. Often sought for internal investigations, he has led dozens in the United States, and has investigated foreign bribery issues in China, Brazil, Korea, and several parts of Europe. In addition to his investigations and trial work, he has briefed and argued civil appeals in the First, Fourth, Sixth, Seventh, Eighth, Ninth, and DC Circuits in the United States Courts of Appeals. He was lead counsel in a successful case of first impression in the First Circuit and was responsible for briefing two such cases in the Seventh Circuit and the Supreme Court of Illinois. Before moving to Washington, DC, Mr. Pugh was recognized as an "Illinois Super Lawyer" from 2011 to 2017. He has published several articles and been quoted on issues in the federal FCA and corporate compliance. He is a co-chair of the American Bar Association Criminal Justice Section Committee (ABA CJS) on Global Anti-Corruption and a co-chair of the ABA CJS Qui Tam Subcommittee. He was a voting member of the ABA Task Force that wrote the first set of standards for corporate monitors. He has presented on issues in internal investigations and litigation, including at the National Association of Criminal Defense Lawyers (NACDL) White Collar College, and at the ABA National Institute on White Collar Crime. He was a trial instructor at the National Institute of Trial Advocacy for more than 10 years and taught at the Department of Justice (DOJ) National Advocacy Center. Immediately prior to joining Miller & Chevalier, Mr. Pugh was a partner at a prominent trial boutique in Chicago. He served as a member of the Illinois State Bar Character and Fitness Committee for a number of years. Currently, he is a board member of JusticeAid, and a mentor in the Washington, DC Abramson Scholarship Foundation. Led the internal investigation for a Fortune 100 airline implicated in an industry-wide FCA and false statements investigation by the United States Department of Justice and United States Postal Service. Defended FCA and criminal false statement allegations against a Division I university following a well-publicized 2013 dawn raid by 54 agents of the FBI, U.S. Departments of Education and Housing and Urban Development, and Illinois State Police. After considerable work, the DOJ closed the investigation with no charges filed. Investigated alleged rigging of the hiring process for senior pilots at a Fortune 100 airline. Served as lead counsel for a Fortune 10 company investigation into allegations of insider trading. Wrote the successful argument in one of the leading implied certification cases in the Seventh Circuit, U.S. ex rel. Bragg v. SCR, part of the circuit split that led to the United States Supreme Court's decision in Universal Health Services v. U.S. ex rel. Escobar. Led the internal investigation of a biotech company regarding allegations by a former employee made to the company's CEO and board of directors detailing alleged false "named patient program" information provided to European clinical regulators. Defended three executives of a large Wall Street financial institution in a well-publicized trade secrets and non-solicitation lawsuit filed by their former employer. On behalf of a board of directors, led a team that investigated numerous code of conduct complaints against the CEO of a large hospital, including conflicts of interest and other allegations. Investigated a corporate sales leader for numerous alleged procurement violations. Investigated a head of HR for numerous alleged code of conduct breaches. Co-led an investigation and drafted the report in a major independent investigation of the University of Illinois into highly publicized allegations by student-athletes in its basketball program. Preston Pugh will speak during the Government Investigations & Civil Litigation Institute's (GICLI) Annual Meeting on October 10, 2018. Preston L. Pugh will speak during the Association of Government Accountants' (AGA) 2018 Internal Control & Fraud Prevention Training Seminar on September 20, 2018.